The Springboks won the second match of their controversial tour of Australia, beating South Australia 43-0 in Adelaide but it was a game about what happened off the field. 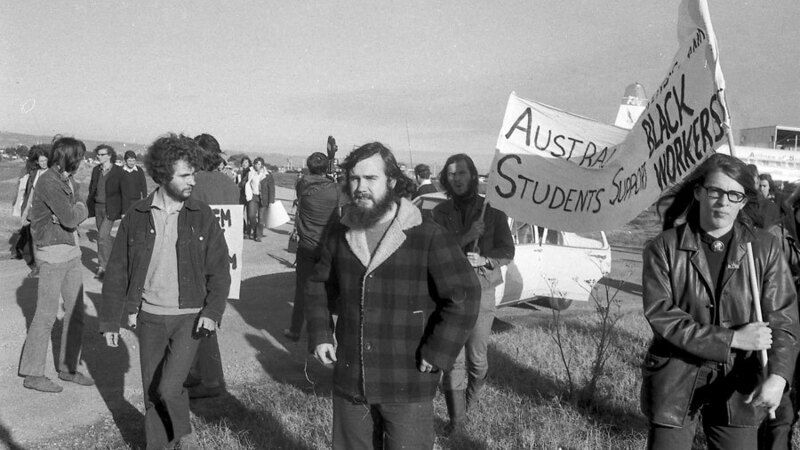 The tourists had been forced to charter planes to get them from Perth after scheduled airlines refused to take their bookings and they had then been kept awake all night by protestors outside their hotel making as much noise as possible. The game was played at night under inadequate lights and subjected to constant interruptions from pitch invasions and smoke bombs. Running fights also broke out between local players recruited as stewards and demonstrators. Barry John gave Southland a master-class in place-kicking technique, landing five goals from five attempts to bring up his century of tour points in the Lions' win at Invercargill. It was a potential banana skin avoided - the Lions had lost two of their previous four matches at the ground. In the first-ever Test between the nations on South African soil, the Springboks took the All Blacks apart to the tune of 17-0 in Durban. The seven-man New Zealand scrum was pulverised by the 3-4-1 formation employed by the Springboks. The hosts' try came from wing Jack Slater, scoring his second career try for South Africa, in what was his third and final appearance for his country. Bennie Osler kicked two penalties and a brace of dropped-goals in the first of a four-Test series between the sides. It was the first time either side had played a Test match for over three years with 22 debutants on the field. Stefano Bettarello inspired Italy to a series win in Zimbabwe, scoring all of the Azzurri's points in a 12-10 second Test victory in Harare. The hosts scored two tries but could not avenge their 25-6 defeat the week before as Bettarello kicked a brace of penalties and a couple dropped-goals to give the visitors the victory in what was only the third meeting between the two sides. South African board officials were forced into an embarrassing climbdown over comments made by Springboks coach Peter de Villiers in the aftermath of the alleged eye-gouging incident that marred their second Test victory over the British & Irish Lions. Springboks flanker Schalk Burger was yellow-carded in the opening minute of his side's decisive victory in Pretoria after he was seen to place his hands on the face of Lions winger Luke Fitzgerald. He was later cited for alleged eye-gouging and subsequently found guilty of "making contact with the eye area" and banned for eight weeks. De Villiers initially questioned the decision to sin-bin his player in the post-match press conference insisting that the incident was "all part of sport" and that he did not believe it was a yellow card offence but quickly issued a statement "apologising to the rugby community for the erroneous impression that acts of foul play are in any way condoned by South African rugby". Leicester Tigers named South African Heyneke Meyer as the club's head coach on a three-year contract, replacing the sacked Marcello Loffreda. Meyer had previously coached the Bulls to the 2007 Super 14 title - the first South African side to win the trophy - and won four Currie Cups in five years but his stay at the Tigers was brief. He took compassionate leave from his post to attend to family matters in South Africa and never returned - tendering his resignation seven months into the role. The Springboks fielded two lock forwards as flankers and turned in one of the best displays of their New Zealand tour to beat Hawke's Bay 20-0 in Napier. Jean-Pierre Rives led France to a 14-9 win against Wellington in a dress-rehearsal for their Test series with the All Blacks a week later. The details of the upgrade for Auckland's Eden Park ahead of it staging the 2011 World Cup final were released, increasing the stadium's capacity to 60,000.